Friday November 9, 2018: Emma dumps Xander, Wyatt counsels Zoe, and Brooke warns Ridge and Katie that Bill won't give up. In the office at Forrester Creations, Katie jumps in when Ridge is distracted by Brooke’s warning about Bill during an interview. The room clears out and Katie asks Ridge what’s going on. Ridge admits he has other things on his mind, namely Spencer. They discuss the issue with the judge, and Ridge reassures himself that Brooke will keep his secret. In the studio, Wyatt tells Xander he killed it on the runway. After Wyatt walks away, Zoe teases Xander they should celebrate in their lingerie. Xander admits he’s texted Emma to celebrate privately. Zoe snarks about him wanting to celebrate their success with milk and cookies…she thought he’d want to be with people who were in the show. Xander’s grateful for Zoe’s support, but made other plans. Zoe calls Emma a little girl who would be happier if he didn’t model. Emma appears. Zoe tells Xander to text her later; she’ll tell him where the party is. Emma asks Xander about the party, but he wants to celebrate with her. He’s hoping their relationship will take an exciting step forward. At Il Giardino, Bill informs Brooke that her eyes tell him he’s on the right track when he mentions Ridge and Judge McMullen. He asks again if Ridge interfered in Will’s custody hearing. Brooke sighs that he should go spend time with Will and stop fighting. She warns him not to make this an obsession and leaves. Bill calls Justin and asks him to get in contact with the computer whiz…he has a job for him. Brooke joins Katie and Ridge in the Forrester office and relays that Bill was at Il Giardino and was pressing her to divulge what she knows about Ridge and Judge McMullen. Katie exits, and Ridge rants about Bill harassing Brooke. She reminds him he committed a crime and could go to jail, and Bill won’t stop until he learns the truth. In the design office, Wyatt raves to Zoe about her and Xander’s modeling. Zoe thought she and Xander would be celebrating together; they were in love for a long time, but he’s got Emma on the brain. Wyatt counsels Zoe to move on. Zoe muses she’s living a fairytale existence with no one to share it with. In the studio, Emma and Xander discuss how much things have changed since they got together. Emma knows better what she’s ready for, and not ready for. Even though he’s amazing, she’s not ready to take things further and make love. Xander respects her wanting to wait. Emma goes on to explain she needs to do her own thing right now and focus on work and dancing. They embrace. At Spencer Publications, Bill tells Justin that Brooke couldn’t get out of the restaurant fast enough when he asked about Ridge and McMullen. 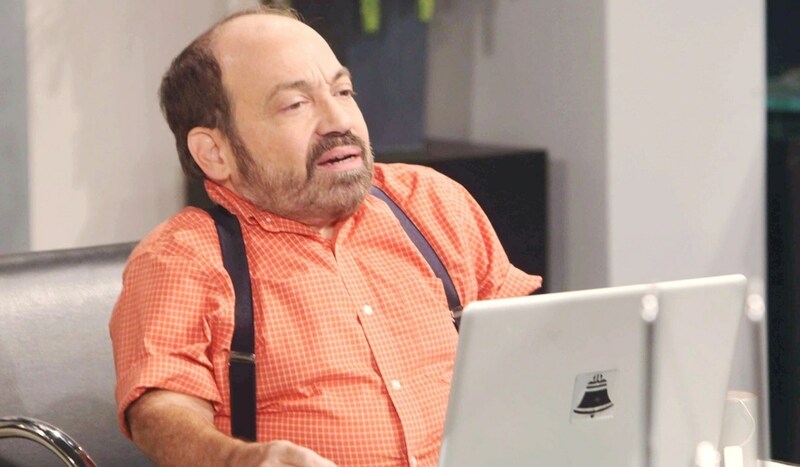 Ken the IT guy, (played by Danny Woodburn), arrives and Bill wants him to get to work on the sensitive matter, but first has to order him tea. Ken gets up to speed on the custody hearing, and snarks about Bill needing to treat his ex-wives better. Bill wants him to access Judge McMullen’s cellphone. Ken gets to work as Bill looms over him. Ken announces he’s done. Bill moves to look at the laptop, anticipating this is how he’ll get his son back. Quinn and Pam’s conflict worsens.